Day Protector Tinted is a BB cream that matches most skin complexions and provides immediate soothing relief and daily protection from external aggressors. Day Protector Tinted is hypoallergenic and non-comedogenic. Fragrance free. Long-lasting hydration thanks to the combined action of Lipomucine and Meiboserine that ensure optimal absorption of the Avène Thermal Spring Water, and reduce its evaporation. Unified, flawless complexion thanks to mineral pigments and brightening pearls that unify the complexion and instantly correct colour flaws. SPF30 photostable UVB/UVA protection thanks to a combination of Ethylhexyl Salicylate, Tinosorb M, Tinosorb S and Titanium dioxide protecting against UVB and UVA rays. 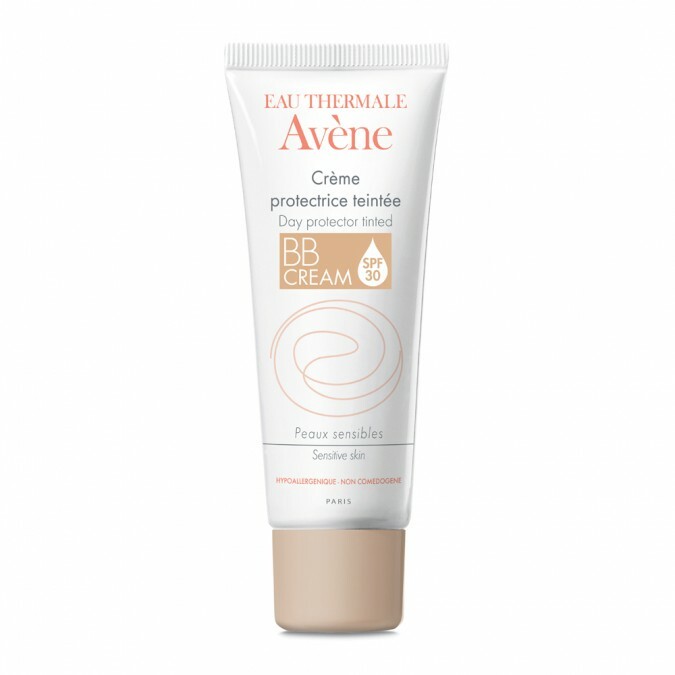 Avène Sunscreen Spray SPF 50+ is hypoallergenic and non-comedogenic. Very rich in Avène Thermal Spring Water. Light and non-greasy texture which offers an extremely pleasant application and does not leave white marks. Convenient spray bottle for easy application to the body. Photostable UVB and UVA filters. Complex of photoprotective ingredients for broad spectrum - long and short UVB-UVA protection. Suitable for sensitive skin, skin prone to sunburn, skin exposed to sunlight. Apply in the morning to the face and neck, either by itself or after a serum.